Sue Daley’s Floral Hues fabric line is a stunning collection of florals, itty bitty dots, and patterns on luxuriously soft and cotton lawn. 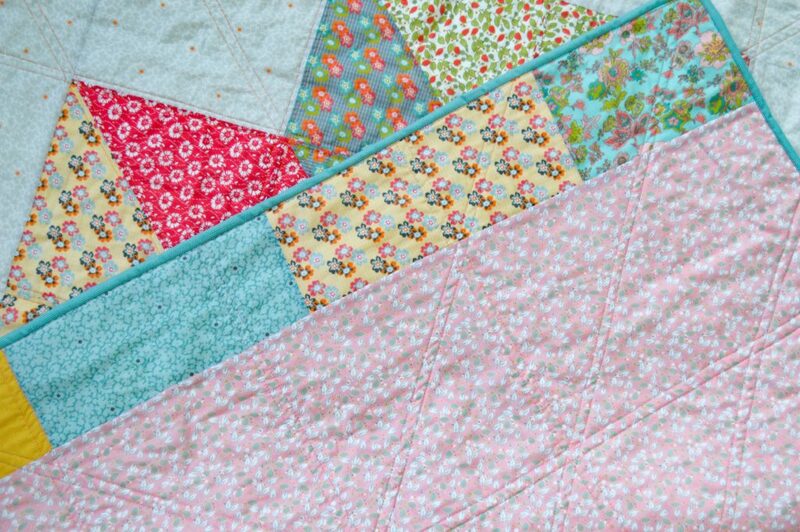 Cotton lawn is a lighter weight than traditional quilting cotton. It is a perfect choice for clothing, but also works beautifully in quilts that will be used in warmer climates. 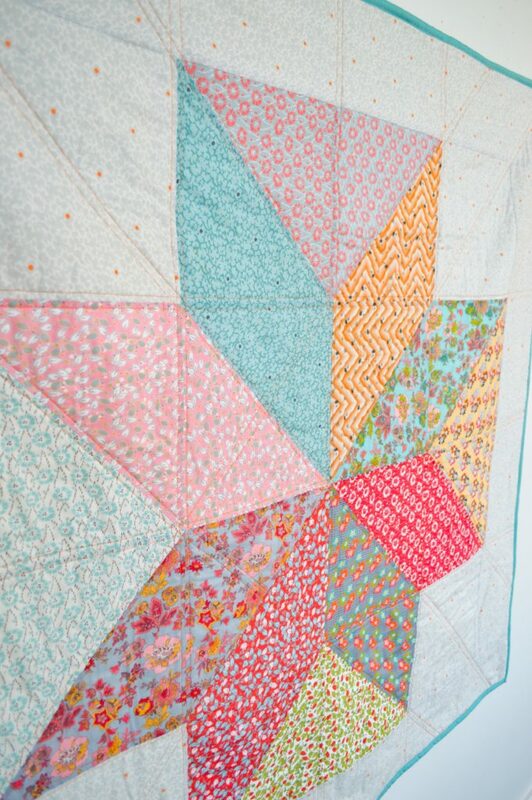 I used Diary of a Quilter’s LONE STAR QUILT tutorial, with just a few small changes, to make this quick and easy baby quilt. By adding darker prints at the “V” of each star, it created the illusion of a Plus design rather than a star. I kept the corners and border a light color to further emphasize the Plus shape. 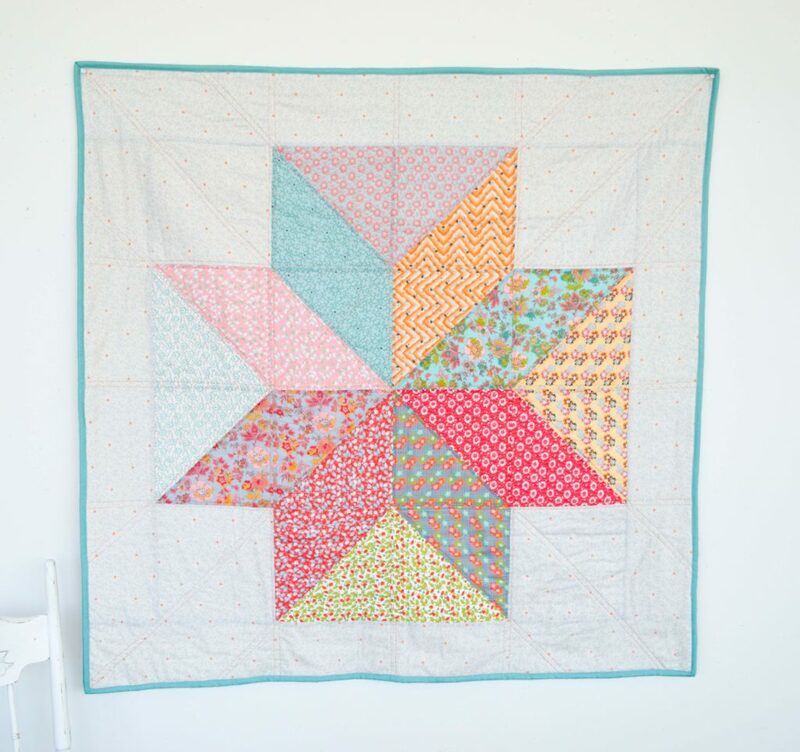 Amy’s Lone Star pattern calls for a 2″ border. 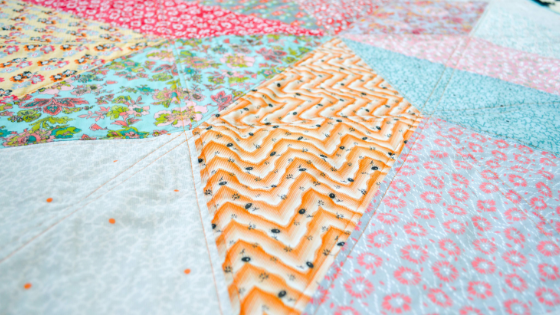 I decided on a 6 1/2″ border because I prefer baby quilts that are on the larger side. I wish you could reach through the screen and touch this fabric. 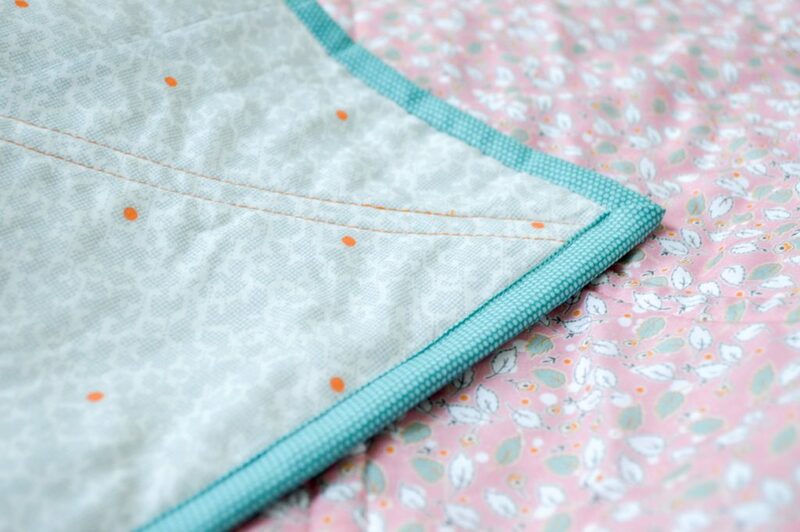 It is so light and soft – the perfect thing for a cuddly baby quilt! I decided to use an Aurifil orange thread on the top. With so many bold, contrasting patterns and colors, it seemed appropriate to add a contrasting thread into the mix. I used a light pink thread in the bobbin to match the sweet Pink Leaves fabric on the quilt back. 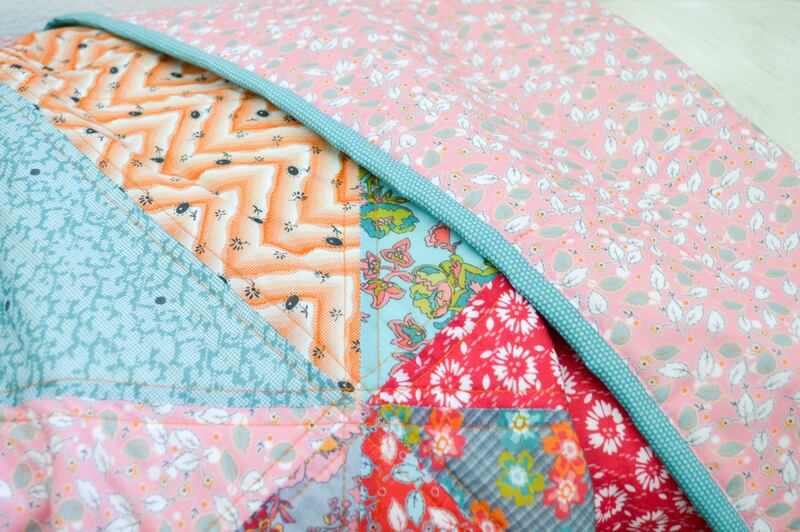 An easy way to extend a quilt back when your fabric isn’t wide enough is to sew scraps into a strip. 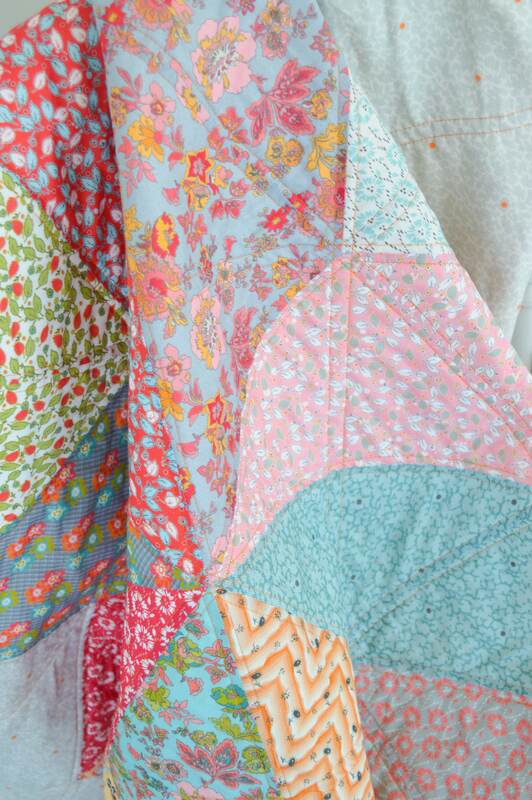 This is a great way to show off a few of your favorite prints and adds a bit of character to an otherwise simple quilt back. I used the Teal Dot for the quilt binding. Aren’t those teeny tiny dots amazing? 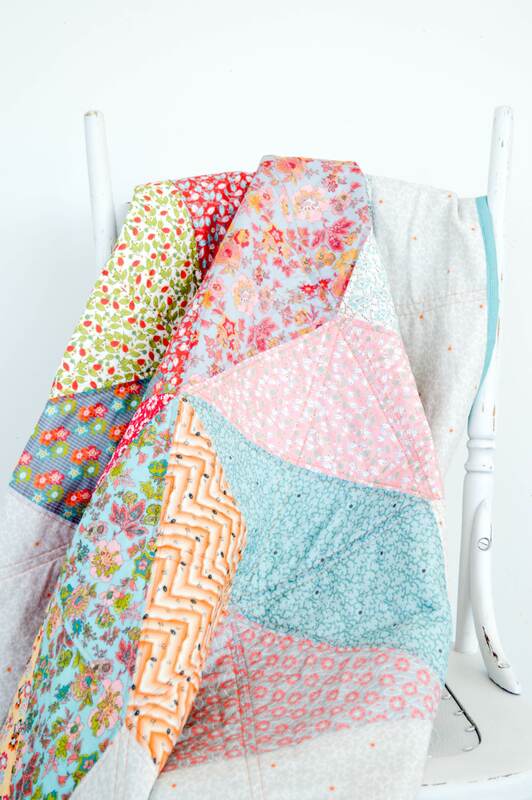 This soft and cuddly quilt is guaranteed to become your favorite go to blanky for naptime and car rides and just cuddling up in front of a good movie. 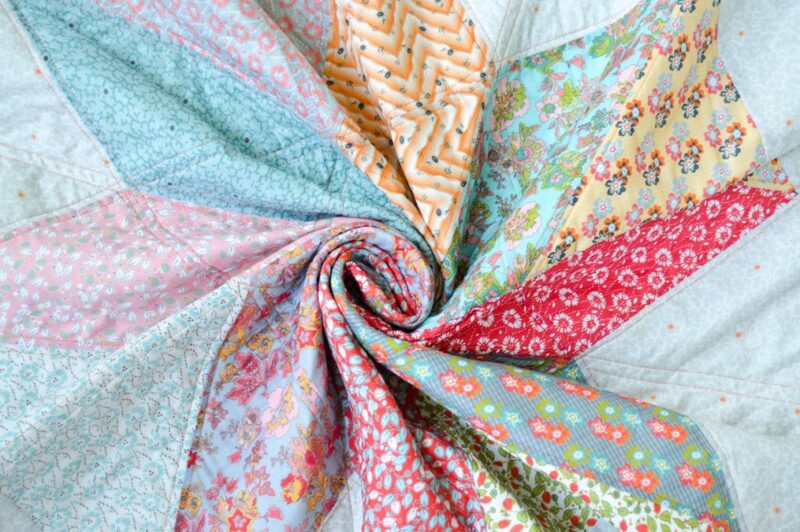 Floral Hues is available now at your favorite local and online quilt shops so pick up yours today! You’ll find Floral Hues designer, Sue Daley, on Instagram @suedaleydesigns, where you’ll find loads of paper piecing and quilting inspiration! 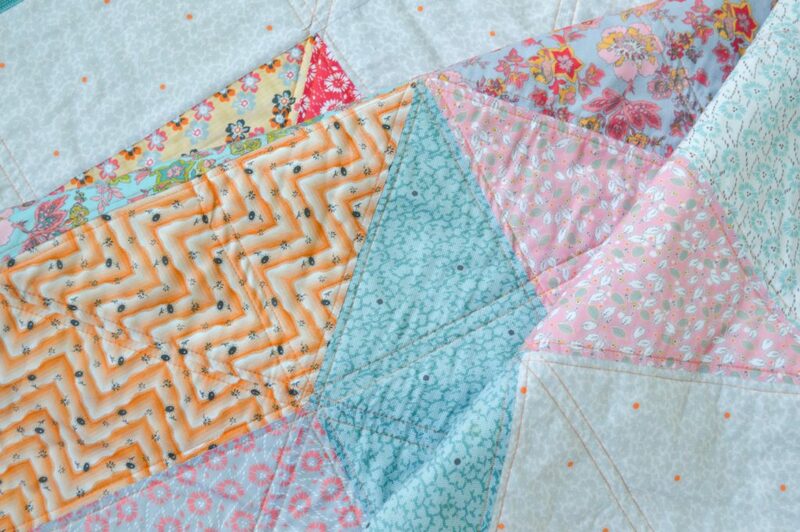 Hop on over to Diary of a Quilter for the complete TUTORIAL and show us your version of this fun quilt pattern! Just tag us in Instagram using #rileyblakedesigns #iloverileyblake #fabricismyfun. Meet This Maker - Sedef Imer + GIVEAWAY!